No doubt, computer has become an essential part of our daily lives. You get almost everything done online (or wish to do even when can’t) via your computer or laptop these days, and that’s perfectly fine – without computers it’d be silly to think living in this age. Now, alongside a number of advantages we’re able to take from computers – there also are specific security issues related to the use of computers and laptops. Mostly, people store a decent amount of their personal data in computer or laptop. The information can’t be access unless a physical or network access is granted, right? But it’s fact that sometime you’re bound to leave your laptop or computer unattended, that’s just a single reason out of many critical ones why you need to secure them at first. Moving along with another reason, Internet is active on most of the computers all the time – so there’s a real network intrusion danger. For these reasons and many others, it’s always a better idea to secure your computer or laptop at first to avoid any possible data theft or personal information leakage. Here in this article, I’m going to tell you about some easy ways with which you can achieve that! Read along. It’s a renowned fact that the weakest link on any network or even a standalone computer, is the user! So I’m focusing this article for all users. But, and there’s always a ‘but’, I’m not doing all the work for you. I’ll touch on a range of issues, as the saying goes, ‘you can take a horse to water, but you can’t make it drink’. This article won’t be full of hyper links, though I’ll be giving you things you can search on, as I want you to take ownership. It’s not technical, and I’m not expecting you to be out of pocket either, so I’ve be quite prudent. By taking time and having patience, you too could quite easily research to locate the answers and ultimately secure your computer or laptop at max. So without further ado, let’s commence ….. Secure operating system: Well I always thought Apple was the most secure, by searching on, ‘secure computer operating system’. Some Internet security news taught me something new. It appears in 2014, Apple Mac OS – 147, Apple iOS – 127 and Linux – 119 were the top 3 for vulnerabilities. With Windows coming in at the bottom with 36 vulnerabilities. So it shows that doing research is most worthwhile, it pays dividends. The operating system is down to your choice, though common knowledge tells us about the cost of Apple. I can’t comment on Linux, never used the system, but the answer lies above. Password protect your computer: Any computer must be password protected, it goes without saying. Even family members should have their own accounts. Now please don’t go using things like ‘Password’, ‘1234567’ or ‘abcdefg’. I’ve just done a search on ‘password cracking dictionary’ and CrackStation have a dictionary that includes over 1 Billion passwords. Now don’t you think the cyber criminal will be using this for brute force attacks as well? When you read about using strong passwords or changing passwords regularly, it’s for your benefit and not to make your life hell. It’s your risk at the end of the day! This is why your advised to use alpha numeric passwords, with the other characters on the computer keyboard. But you do it in an order that you can recall your new passwords, it’s not rocket science and whatever you do, ‘Don’t share passwords’. Use a trusted computer security system: Now this is where some expense could be involved, but it’s worth it and don’t cost that much if you calculate benefits and cost per day. Using a quality product like Norton 360 costs £24.99 for 1 year, now that’s less than a £1 a day and there’s other benefits, like having a secure vault. If you then choose to use Norton Utilities, which runs automated routines each day to check your registry and protect personal information is £39.99 for a year, less than a pound a day. In total both items will cost you just over a pound a day. You and your family are more than worth it and you’ll have peace of mind. Should you decide to check out Kaspersky or MacAfee, these are suggestions. But there is always AVG if your budget is really limited. Either way, you’ll need a quality anti-virus software. Now something you may wish to consider and it’s ‘free’ is to do a Trend House Call, they will scan your computer to inform you of any risks that could be identified. Worth it for the peace of mind. And it’s ‘Free’, just takes you to start the ball rolling! Firewall: The firewall is a most important feature, Windows does come with a firewall in the operating system. Though be advised, when using Norton 360 (or any premium computer security suit), it will take over this feature. The firewall is designed to keep the bad boys out of your computer and protect you. Therefore it’s important not to interfere with this, it’s critical for your integrity. Keep software updated: This is critical, the last thing you need is your software going out of date. Your operating system should run an automated routine for updating itself. However, any applications you have running won’t necessarily have automated routines running. Your anti-virus, and if using Norton utilities will automatically update. Furthermore, you’ll also be advised automatically if you’ve not done back up’s and it’s out of date, a word of warning! Only download from trusted sources: This goes without saying, please do only download from trusted sources. However, it’s your risk and you decide. Though some downloads look to be quite safe, but the cyber criminal can’t be trusted. They embed malware, ransomware or phishing software, which unknown to you, will run in the background without you knowing, infect your computer and steal your data, photos or whatever they wish. Be cautious and tread carefully. 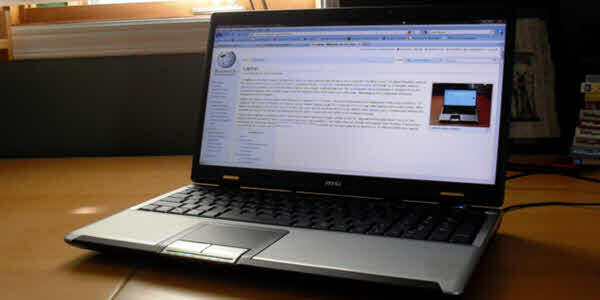 Good web browser: Your computer will come with a default web browser, but there is a myriad of browsers available on the internet. Some may even change your browser when you download articles or go onto sites. May I advise you to be wary and be on the lookout for such types of automated occurrences. You must take steps at your own to secure your browser, no matter how much security your browser creator (no matter if it’s Mozilla, Google or Microsoft) claims. It is worthy to checkout your Programs and Features and remove any unwanted software in your Control Panel. The administrative task is a continuum process which you need to take ownership of. Never open compressed or unknown attachments in email: Now then a question for you, What do we all have on our keyboards? It’s the Delete Key, so never be seduced to open compressed files or unknown attachments if you want to have secure email account. They will ultimately be contained within an email. So if you don’t know the sender or not expecting them, just hit that Delete key. If it’s genuine the sender can always resend, and you can bet, the cyber criminal won’t be checking this out. It’s called self protection and your ensuring your integrity and that of your computer remains so. Secure wi-fi router: Should you be using an iPad or using a wi-fi router, please ensure its in the secure mode. If you don’t anyone could use you internet connection, which is unknown to you and they could be up to any form of misdemeanors. The police will take a different view on this and you could end up in a lot of trouble. So please protect yourself and your family too, by securing your router. Never leave computer equipment unattended: Now believe this or not, this is common sense. Would you leave your luggage unattended at an airport or railway station, I don’t think so or you shouldn’t do. Equally, never leave your computer unattended at home, internet cafe or in the office. At least all you need to do is lock the device, and don’t trust members of your family either. I don’t wish to make you paranoid, kids don’t see dangers and it’s your account! Deep web or dark net: Ever heard of these, well they are risky areas, don’t get me wrong they’re not all bad people using these, but the cyber criminal will prowl, like a praying mantis. The Internet we all use is also called the ‘Surface web’, it’s structured and contains over 19 Billion pages, a bit of light reading one could say. Who needs more than that! But the Deep web and dark net do exist, it’s risky and I don’t suggest you go there, no matter what your colleagues say. This more of an advisory tip and not meant to scare you, I’m trying to protect you. Using offline storage and USBs: If you can afford it, use encrypted offline storage devices and USBs. You would be protecting yourself and others too. You need to protect your USB drives as much as you can, too. The only things on my computer is the operating system, applications and emails. Aside of these, I have no personal data residing on my computer. Bank information, letters, documents, credit card information, photos as all are on an external hard drive. Ok the email is a risk, one which isn’t recoverable, so all I would lose in the event of a theft is a computer and applications, and the latter I have original discs. Food for thought. Education, Open University cyber course: I’m a firm believer in education, it’s good for the soul and keeps your memory working and you feel good when you’ve achieved something. I highly recommend doing the Open University cyber course, it’s enjoyable, you learn something and even better it’s Free. The computer and internet are excellent gateways for your education, you know what you wish to study, go on give it a go. Encrypt your connection to the Internet: Indeed, it bodes well why encryption is of such grave significance for a broad range of employments on the web. Not just will this system permit you to send over arranged records in an encoded and thusly private environment, yet it will secure all that you do on the web. It merits taking the risk and adapting more about what encryption actually is and which kind of encryption is the perfect for you. One of the best encryption tools is none other than VPN. A VPN encrypts your Internet connection and keeps your online activities safe, by using a VPN you ensure that your computer or laptop is safe while connected to the Internet. One good VPN that I can recommend is ExpressVPN, US-based but security and privacy-focused player of the VPN market. Another tool that you can use to encrypt your Internet connect is, Tor. Review and reassess regularly: I strongly urge you to review and reassess your computing requirement, and this includes software. New software is continuously being written, your needs will change given time or circumstances. It would be in your own interest to just take time out and do this. Hardware is part of the continuum, they’re getting smaller, lighter and more mobile, along with many more features. It’s your opportunity to keep abreast with technology. I’ve tried to give you some good direction in this article. However, risk and discipline will always prevail, so we must be careful in what we do and where we go. Life these days, alas is governed by discipline and risk, to which I proffer, each go hand in hand. Ultimately, computers are an excellent tool which we use in our daily lives. Enjoy your work, study and free time or whatever you wish to do, though may I say, be guarded and enjoy.